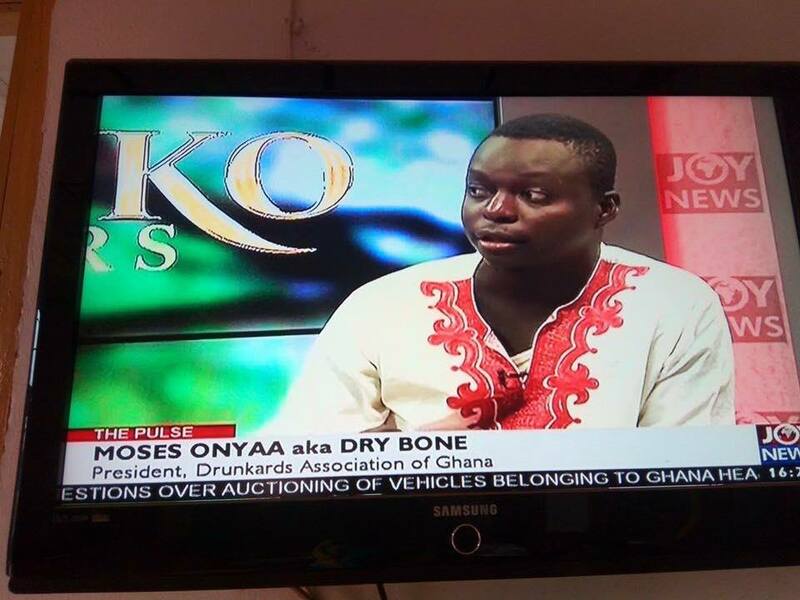 The President of Drunkards Association of Ghana-Moses Onyaa appeared on Joy News a few minutes ago totally upset about FDA’s banning of Adonko Bitters–saying it amounts to gross infringement on the fundamental human rights of its members. Moses argued that the FDA’s action can be termed as ultra vires–outside the powers of its legislative instrument. According to Moses, every adult has autonomy in Ghana including drinking his or her head off if the person chooses. Therefore, any attempt by the state, through its agencies like the FDA to restrict adult access to alcohol amounts to a fundamental human rights breach. He also stated that his members are upset and would soon take to the streets to protest if the FDA does not rescind its decision–adding that, you can imagine the calmness if drunkards take to the street to demonstrate, sponsored by Adonko bitters.